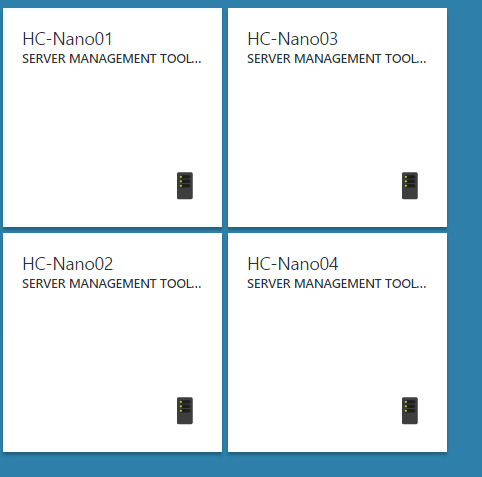 In this topic, I will deploy Server Management Tools to manage my four Nano Servers. 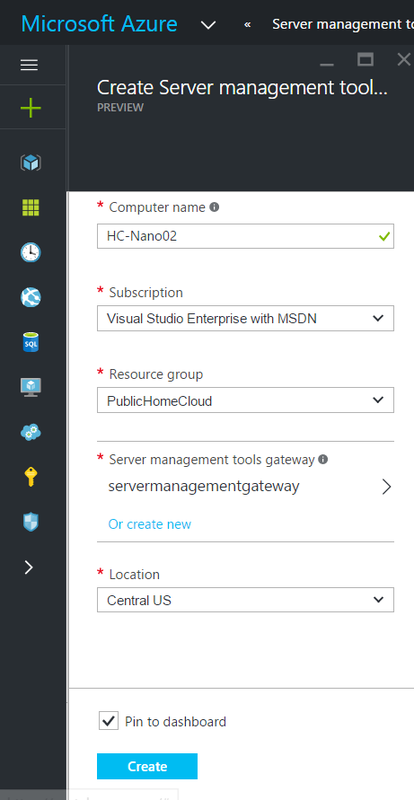 First of all, you have to deploy Server Management Tools in Azure. When you deploy it for the first time, you have to deploy a Server Management Tools Gateway. 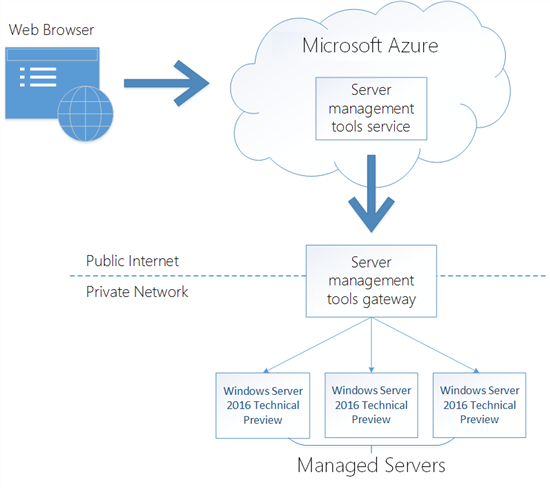 This gateway enables your Windows Server 2016 Technical Preview server to communicate with Server Management Tools located in Microsoft Azure. Usually the Server Management Tools Gateway should be deployed in the same network where are located the machines you want to manage. 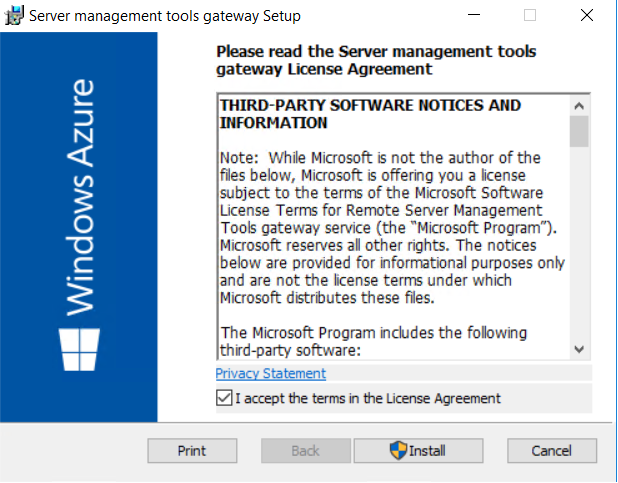 If you install the gateway feature on a Windows Server 2012 R2, you have to deploy WMF 5.0. If you use a Windows Server 2016 Technical Preview, nothing is required. I have four Nano Servers to be managed from Server Management Tools. They are called HC-Nano01, HC-Nano02, HC-Nano03 and HC-Nano04. I have also deployed a domain-joined server called VMMGW01 and running Windows Server 2016 Technical Preview 4. 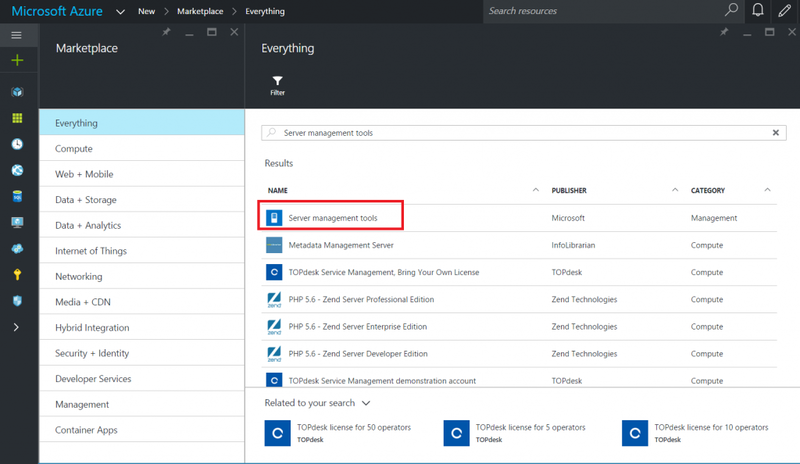 So I log on Microsoft Azure and I’m looking for the Server Management Tools service. I select it and I click on Create. Then specify the name of the computer you want to manage, the resource group and the name of your Server Management Tools Gateway. 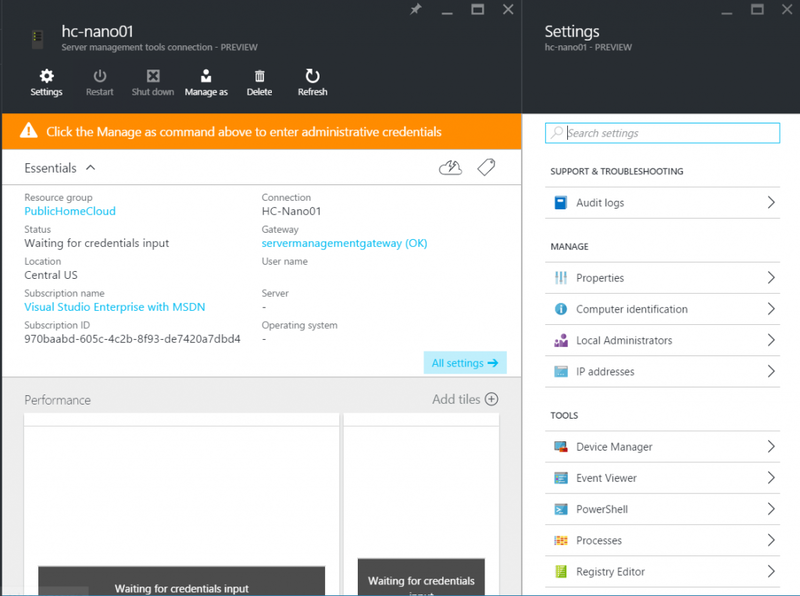 Once the service is deployed, you can click on the service from the Microsoft Azure portal. When you deploy the Server Management Tools gateway for the first time, you have a message that indicates you that the gateway is not found. Click on this message to deploy the gateway. When you have clicked on this message, the portal enables you to generate and download the gateway binaries. Once you have downloaded the binaries, connect to your machine and extract the zip file. Then launch the MSI to install the gateway. 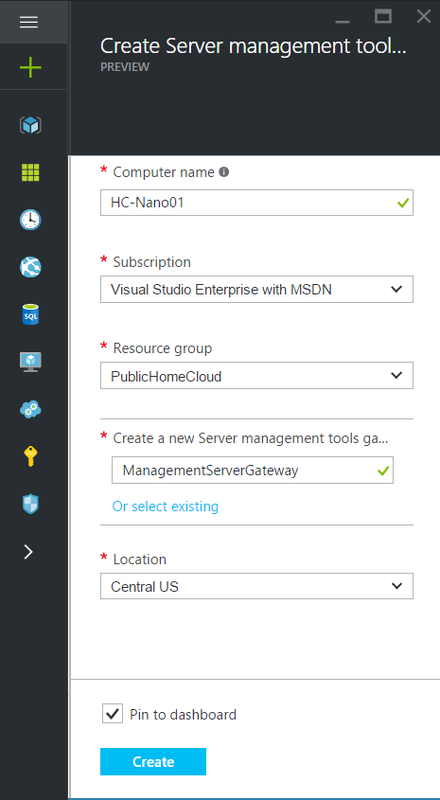 Once the gateway is installed, click on refresh in the Microsoft Azure portal. Now that the gateway is detected as below, just click on Manage As. Then specify credential to connect to the machine you want to manage. If the connection is working, you should have information about processors, memories and networks on the same page as below. 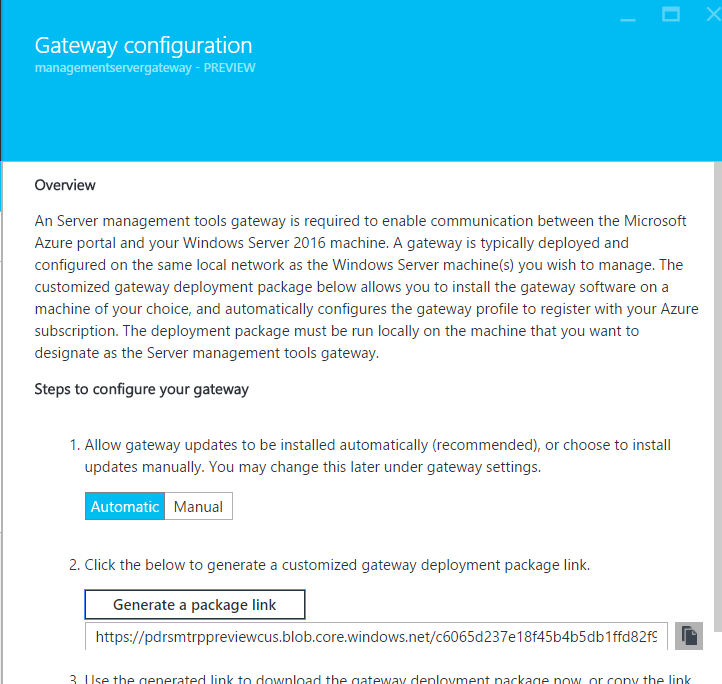 Now that you have your gateway created and working, you can create further Server Management Tools which use the same gateway. 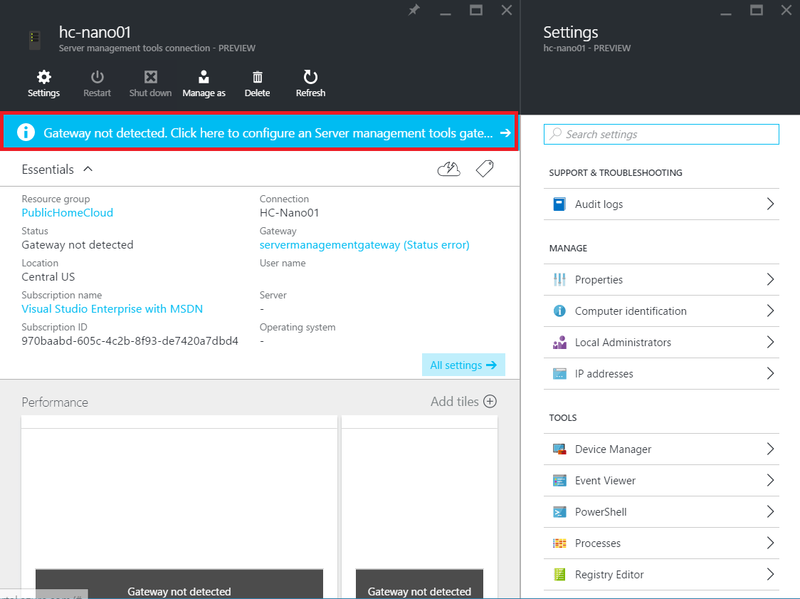 Create again a Server Management Tools and this time, select existing gateway in Server Management Tools gateway part. Now I have four servers managed though the same gateway. 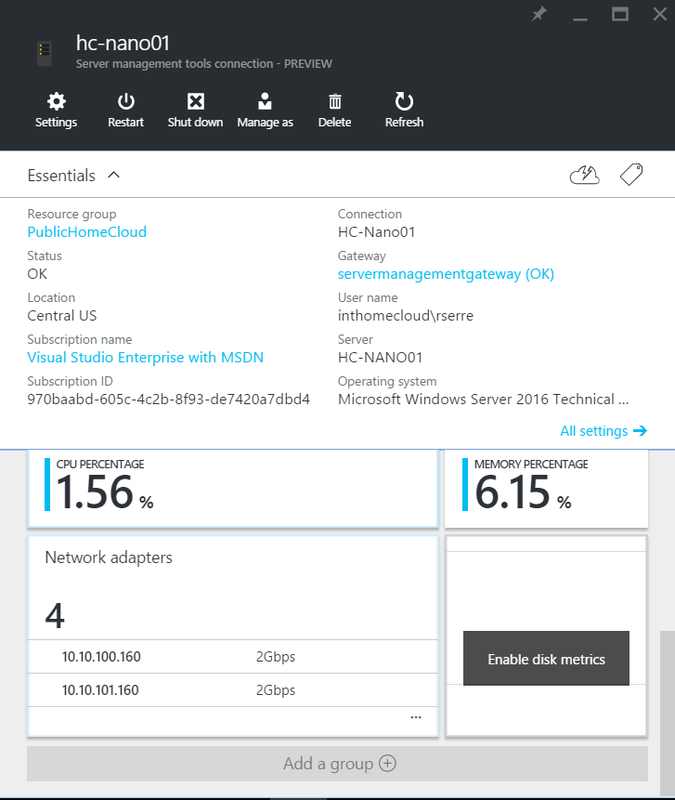 Server Management Tools enables you to monitor and manage your Windows Server 2016 Technical Preview from Microsoft Azure. 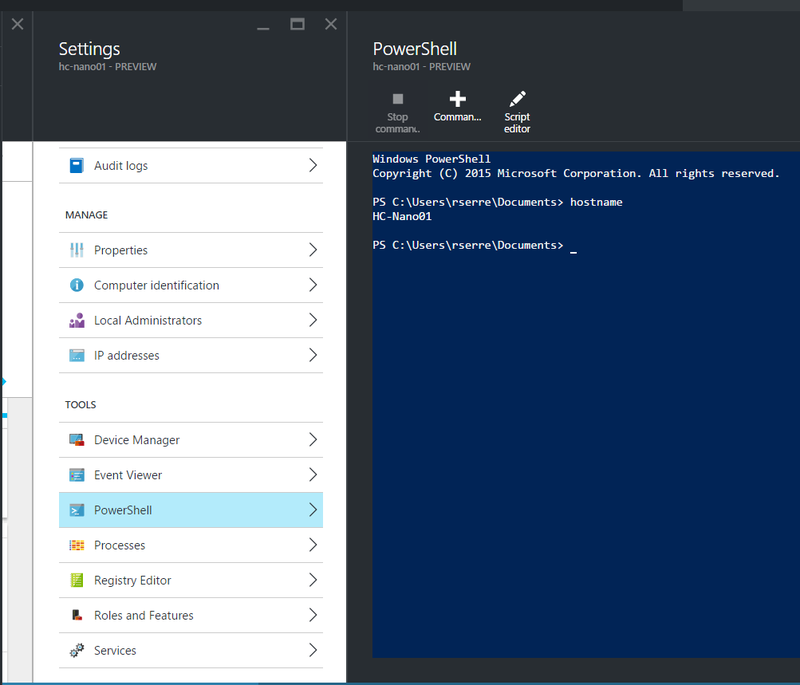 For example, you can execute PowerShell cmdlet remotely. 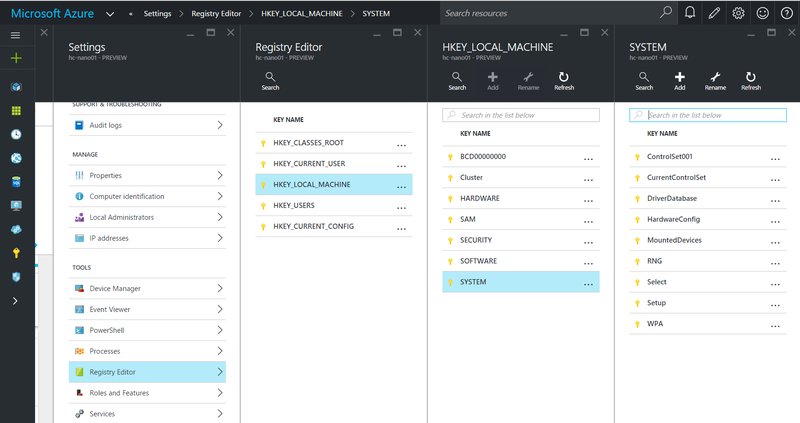 You can also edit the registry hive as below. Server Management Tools enables also to show event logs, processes, add local administrators and so on.